The Slovak Bass Gustav Belacek graduated at the Bratislava Academy of Music with Professor Eva Blahova, continued his studies at the Mozart Academy in Prague, with Carlo Bergonzi in Italy, and in Germany with Helmut Rilling and Wolfgang Schone at the International Bach Academy in Stuttgart. He was a prize winner at the Siena- Rocca delle Macie International Opera Competition, absolute winner at the Karlovy Vary International Dvorak Competition and Opernwelt Prize at the Belvedere Singing Competition. Mr. Gustav Belacek has been engaged by major opera houses throughout Europe, including the Grand Theatre de Geneve (Smetana’s Bartered Bride), the Theatre de la Monnaie in Brussels, the Theatre du Rhin in Strasbourg (Mozart’s Zaide/Osmin), and the Vienna Kammeroper in Gluck’s La Rencontre Imprevue, the Prague National Theatre (Ramfis, Dr. Kolenaty/The Makropulos Dase), the Deutsche Oper am Rhein in Dusseldorf ( Dr. Kolenaty/ The Makropulos Case), the Janacek Opera in Brno (Biterolf, Leporello), the Prague State Opera(Raimondo, Water Gnome) , the Graz Opera ( Water Gnome), the Badisches Staatstheatre in Karlsruhe (Mustafa), the Maggio Fiorentino Firenze (Harasta), the Teatro Massimo in Palermo (Monstre Cathos/Persee et Andromede by Ibert, Bluebeard), Royal Opera in Copenhagen (Water Gnome, Gremin) then by the Nagoya Opera in Japan (Don Giovanni /Masetto) and the Palacio das Artes in Belo Horizonte-Brazil(Leporello). In North America he sang the Commendatore (Don Giovanni) at the Berkshire Opera Festival and with the Canadian Opera Company in Toronto most successfully the roles of Don Profondo in Rossini’s Il Viaggio a Reims, the Pimen in Boris Godunov, and the Mustafa in L’Italiana in Algeri. He is a soloist at the Slovak National Opera Theatre where he has been heard as Dulcamara in L’ Elisir d’Amore, Figaro in Mozart´s Le Nozze di Figaro, Leporello in Don Giovanni, in the title role in Bartok’s Bluebeard’s Castle, the Ramfis in Aida, the Water Gnome in Dvorák’s Rusalka, the Gremin in Tchaikovsky’s Eugene Onegin, and the Pimen in Musorgsky Boris Godunow. As concert singer he performed in many Festivals like Prague Spring, Bratislava Music Festival, Festival zu Ostern Luzern, Rheingau Music Festival Wiesbaden, BBC Proms and he sang in concert halls like Conservatorio Giuseppe Verdi in Milan, Conservatorio de Bruxelles, La Sapienza University in Rome, Royal Albert Hal London , Concertgebouwn Amsterdam, Großes Festspielhaus Salzburg. Gustav Belacek performs with orchestras like Bruckner Orchester Linz, Dresdner Philharmony, Berliner Symphoniker, L´orchestre National de France, Radio- Symphonieorchester Wien, Symphonieorchester des Bayerischen Rundfunks Munich, London Philharmony Orchestra, Montreal Symphony, Camerata New York, New Jersey Symphony Orchestra, San Francisco Symphony under conducting Sir Carles Mackerras, Charles Dutoit, James Judd, Serge Baudo, Esa-Pekka Salonen, Andras Lighetti, Libor Pesek, Vladimir Valek, Jiri Belohlavek, Dennis Russel Davies, Alberto Zedda, Marris Jansons, Yuri Temirkanov, Kurt Masur, Seiji Ozawa and many others. During the season 2009/2010 he sang in the Prague National Teater (Dr. Kolenaty, the Ramfis), Deutsche Oper am Rhein in Dusseldorf (Dr. Kolenaty), Badisches Staatstheater in Karlsruhe (the Mustafa), Royal Opera in Copenhagen(the Gremin), Maggio Fiorentino Firenze(the Harasta), Opera Klagenfurt (Ramfis), Opernhaus in Graz ( the Water Gnome). 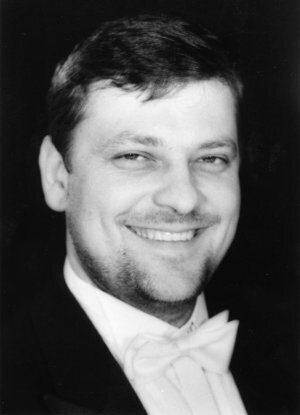 He is a regular guest in the Slovak and the Czech Philharmony and in the Prague Radio Symphony Orchestra. In the season 2009/2010 Mr. Belacek sang Mass in C major by Beethoven, Mozart´s Requiem, Te Deum by Dvorak and G major Mass by Schubert with the Slovak Philharmony, Requiem by Dvorak with the Prague Radio Symphony Orchestra, Symphony No. 9 by Beethoven with the Piccardie Orchestra and Missa Sollemnis by Beethoven with the Prague Chamber Philharmony conducting by Jiøí Bélohlávek . Mr. Belacek records with Opus, Supraphon, Slovart, BBC, Mezzo Mezzo, Delos and Naxos. In 2007 was released a live CD from London PROMS with Glagolitic Mass by Janacek, the London Philharmonic Orchestra conducted by Kurt Masur . In 2008 a CD of Duke Bluebeard´s Castle by NAXOS, the Bournemouth Symphony conducted by Marin Alsop and in 2010 a new CD of Requiem by D. Cimarosa conducted by Kirk Trevor also by NAXOS. The CD of Dvorák’s Requiem with the New Jersey Symphony Orchestra under Zdenek Mácal, which was released by Delos, was honoured with a Grammy Award. In 2008 Mr. Belacek was honored with inter. Gabardi Premio in Milan.